I've been looking around for a good pdf of the 1987 Service manual but couldn't find one so I got my hands on a decent copy (1300 pages). After cutting it up and feeding it to my scanner I created a fully searchable PDF with a bookmark index. I can tell you it was a real pain because the document feeder doesn't like pages this thin and fragile. Your effort is much appreciated. I can imagine how much time that took. Nice to be able to run word searches. Kudos, and a "+" for you. WOW !!!! Now that is dedication to the forum, not just Fieros but to THIS forum. Even though I already own an 87 manual this will come in handy from time to time. A Big THANK YOU, you more than earned any "+'s" that will be comming your way very soon. Another plus for you, that is a great thing you've done..
+ for you sir. I've been looking all over for one of these. Thanks for taking the time to scan and upload this! I also have the Haynes and Chilton manuals scanned on my site, but since they are commercially available I will not link to them directly on this forum. I've put them on ThePiratebay.org (search Fiero). Here's a link to the download section of my website. I've posted it in other threads before, but it might be useful to someone. + for you...May your rating bar appear with bright green! Beautiful, thanks for doing this. a "+" to you sir. I just sent him a mail with the direct download links... he already has the Haynes manual I created a couple of years ago. After cutting it up and feeding it to my scanner I created a fully searchable PDF with a bookmark index. Thanks Jorgen I have just added the two to the fieronews site. Thanks for your hard work as always and leting me host them for you. The Chiltons manual is in the Tech downloads. + to you for your efforts. A big Plus to you!!! Thanks so much for your efforts. 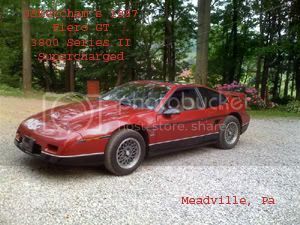 Hey that's an awesome way to give back to the Fiero community. Is the 88 Factory service manual anywhere. If not, I could probably start scanning that one in my spare time (which I seem to have a lot of). yeah, i totally agree with everyone here. You've done us all a great servise & it's certainly most appreciated. I thank you. I don't own an 87, but that's still amazing! + for you! i own an 87. kick arse. thanks!!! Thank you so much, this will be extremely useful for me as I'm in the beginning stages of restoring my 87. I just put the manual on TPB for the lost souls not familiar with PFF or Fieronews. been wanting a pdf one for my 1987.. a + to you! thank you for the time, effort and TIME.. I have a hard copy but I always prefer the electronic especially one that can actually be searched!